Give us your lunch hour, and we'll show you how this community works together to make dreams come true. Find out how our community impacts the lives of more than 1,000 Dreamer Scholars. From their early elementary school days through college, we are side by side with them. Together, tutor, mentor, encourage, and cheer for them. At every step, we invest our resources, time, talents, hearts and passion in them. 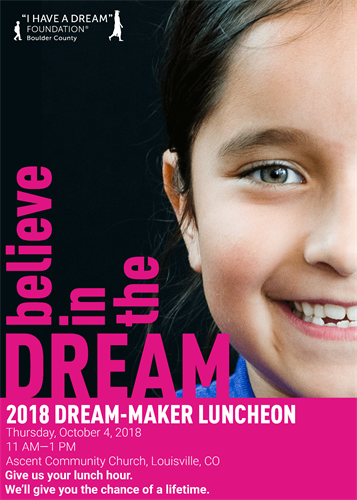 Together, we help these young students envision how their careers and futures can unfold and most importantly, we help them to believe in their dreams.